For more than 40 years, the law firm of Krivitzky, Springer & Feldman has successfully represented injured victims of motorcycle accidents throughout New Jersey. 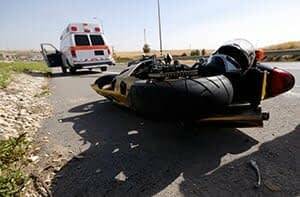 The repercussions of being hurt in a crash can be devastating, and our experienced motorcycle accident attorneys are committed to helping you recover maximum compensation for your medical bills, lost income, pain and suffering and other damages. Motorcycle accident victims often sustain serious injuries including broken bones, road rash and head, neck and spinal injuries. These types of injuries often require expensive surgery, rehabilitation and ongoing medical care. Extended periods of time away from work can leave you wondering how you’ll pay your bills and take care of your family. At Krivitzky, Springer & Feldman, we are dedicated to fighting for the rights of bikers and work tirelessly to ensure you receive the compensation you deserve. Most motorcyclists are as attentive to safety, courtesy and precaution as other motorists on the road, but police officers, eyewitnesses, insurance adjusters and juries often carry biases that portray bikers as reckless or unsafe. Our personal injury attorneys understand the challenge of overcoming these biases. Our skilled legal team is well-versed in collecting and presenting physical evidence that helps prove the other driver was at fault. Analyzing points of impact, skid marks and property damage can indicate how the accident occurred, and we often consult with professional accident reconstructionists who use evidence to make a video re-creation of the accident. Motorcycle insurance policies in New Jersey typically do not include no-fault medical benefits, which are required for other motor vehicle polices. Sometimes your own car insurance may provide uninsured or underinsured motorist benefits that allow you to recover money for your pain and suffering in excess of the negligent driver’s insurance coverage. In addition to pursuing compensation from the at-fault party, we determine which type of coverage you carry and pursue all possibilities to ensure you’re adequately compensated for your damages and losses. If you’ve been injured or have lost a loved one in a motorcycle accident, we can help. Contact us online or call our Jersey City office at 201-798-2711 or our auto accident lawyers in West Milford, NJ, at 973-874-0556. Evening or weekend appointments and home or hospital visits can be arranged throughout Northern New Jersey. Se habla Español. Krivitzky, Springer & Feldman accepts motorcycle accident and other motor vehicle accident cases throughout Northern New Jersey, including those on the New Jersey Turnpike or Garden State Parkway, Route 1, Route 3, Route 4, Route 9, Route 17, Route 46, Route 78, Route 80, Route 95, Route 280 and Route 287, or in the Lincoln Tunnel, Holland Tunnel or George Washington Bridge.